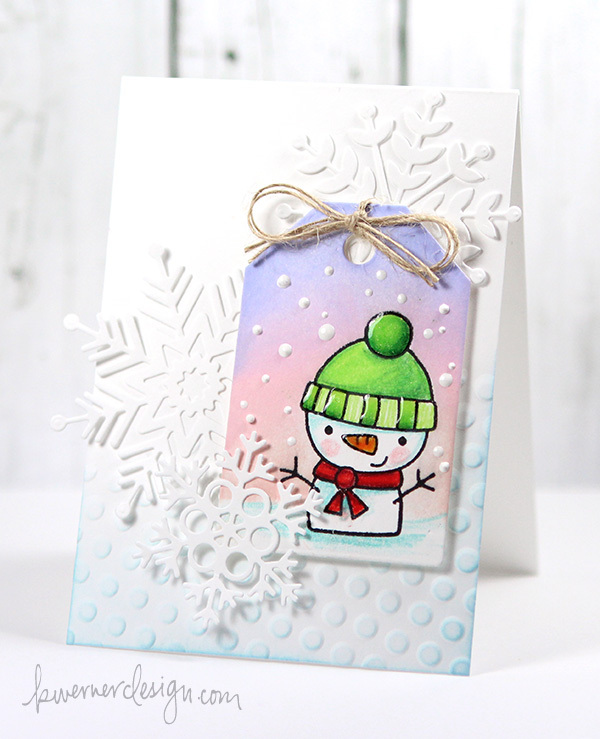 For today’s video in the Holiday Card Series 2014, I couldn’t resist creating a card using the new Cool Dudes stamp set (SSS | PS) and the new Gift Tags Dies (SSS | PS) from Paper Smooches. 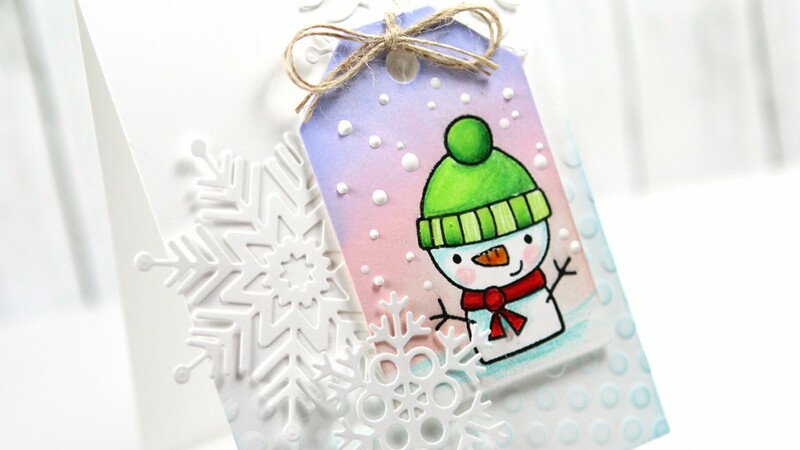 I used colored pencils to color the snowman, and then Distress Inks to create the sky scene behind him. The snow falling was made using Ranger Enamel Accents, and the die cut snowflakes are the Alexis, RyLynn, and Melody Snowflake dies from Simon Says Stamp.